Plastic Surgeon Plano, TX | Cosmetic Surgeon Ronald Friedman M.D. Ronald M. Friedman, M.D., has been consistently voted as one of the best plastic surgeons in Plano and Dallas, Texas. Throughout his career, he has been an expert resource for breast and body contouring, contributing his knowledge to various textbooks, television broadcasts, and international lectures. D Magazine has named Best Doctor in Dallas and/or Collin County for 12 consecutive years, and Texas Monthly awarded him the title of SuperDoctor four years in a row. Since 1996, Dr. Friedman has delivered consistent and individualized care to all of his patients. He is also the founder and director of the West Plano Plastic Surgery Center, a nationally-accredited outpatient surgical facility located on the campus of Texas Health Presbyterian Hospital Plano since 2000. Producing customized results that complement a patient’s natural characteristics requires an innate sense of elegance and craftsmanship. Decades of experience as one of the only plastic surgeons in the United States who is an active wood and marble sculptor have refined Dr. Friedman’s artistic eye, which is reflected in his dedication and attention to detail in the operating room. Those who desire correction of imperfections that result from trauma, congenital conditions, developmental issues, or disease can restore their appearance with reconstructive surgery. Dr. Friedman possesses the surgical skill and experience to perform various types of reconstructive procedures tailored to the patient’s individual considerations. Dr. Friedman has been sculpting wood and marble for over 25 years. 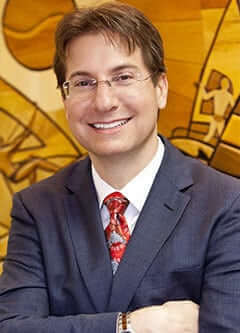 Although many plastic surgeons call themselves "artists," Dr. Friedman's artistic ability definitely speaks for itself. Our main office and nationally-accredited surgery center are conveniently located on the campus of Texas Health Presbyterian Hospital of Plano. All patients have different cosmetic, anatomical, and lifestyle needs, so every procedure must be entirely personalized to their unique desires. As a highly experienced cosmetic surgeon, Dr. Friedman addresses his patients’ aesthetic and functional concerns with compassion, knowledge, honesty, and a personable sense of humor. “From the first consultation to the procedure and recovery, I had a positive experience. He and his team were attentive and caring and made me feel secure and in excellent hands. The results were outstanding. My recovery was smooth, and my results definitely exceeded my expectations. I am very happy with my new image. After all, that is what all of us are looking for! ACTUAL PATIENT: Breast Augmentation and Tummy Tuck. | Click here to read her testimonial. This 53-year-old woman from Prosper, Texas presented to Dr. Friedman with complaints of sagging and volume loss of the breasts following prior breast augmentation and lift with subsequent implant removal. She also complained of excessive skin and fat of the abdomen and love handles. She underwent a mommy makeover, consisting of secondary breast enlargement with 455 cc submuscular silicone gel implants, breast lift, full tummy tuck, and liposuction of the love handles. Her 2-month results demonstrate large C cup breasts and a flatter abdomen. Do Breast Implants Interfere With Breast Feeding?